This feed is specifically devoted to our older episodes (2007-2009), remixed and better sounding than ever. And specially illustrated with pictures of the people and places we're talking about. 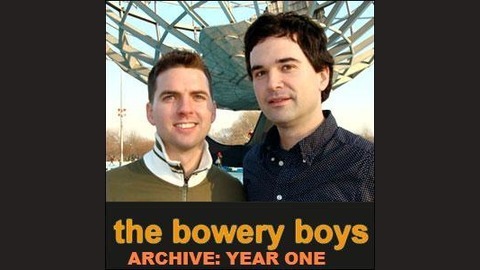 Check out our regular Bowery Boys feed for the newest shows. The Bowery Boys, Greg Young and Tom Meyers, have lived in New York for the last fifteen years and have been curious about the city since the day they arrived. Join them for a fun take on history, a "romp down the back alleys of New York City." Each week, they look into another fascinating aspect of the Big Apple -- the people, the places, its beginnings and effects on American culture.